According to the Youth Protection Council, they recently examined the two songs, “She’s Gone” and “Korean Dream” from G-Dragon’s recent solo album “Heartbreaker” and came to the decision that they are harmful to the youth. In “She’s Gone” case, the hazardous meaning that is embedded in the lyrics are harmful to the youth. And for “Korean Dream” the use of the profane words were also found hazardous to the public. Therefore the decision these songs being harmful for the public will start to take effect in 10 days. G-Dragon’s album “Heartbreaker” that was released in mid August, sold approximately a peaking 20 million copies just by the end of September. However since the council came to the decision that this is harmful to the youth, albums will now only be sold to those that are 19 and older. If this decision is not followed, distributors, dealers, studios and so forth will be fined. In addition, prior to 10:00 p.m these songs can no longer be broadcasted. 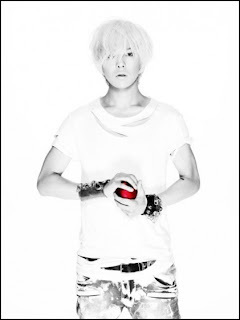 world k-pop news: [News]G-Dragon’s song “She’s Gone” and “Korean Dream” harm the youth "clickable"
0 Response to "[News]G-Dragon’s song “She’s Gone” and “Korean Dream” harm the youth"